So you may have noticed that I’ve not been blogging a lot in August because I am working on an exciting new project. I was delighted to be invited to join this year’s Blue Peter Book Awards 2019 Longlisting panel to help choose the 12 books in the ‘Best Story,’ and ‘Best Books with Facts,’ category. 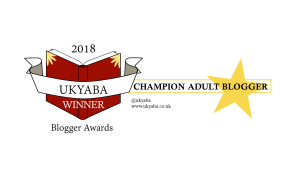 This has meant having to read a large selection of books in a very short period of time and I’m currently working my way through some marvellous books which sadly I can’t share with you on the blog, it’s top secret. After I finished this project I have managed to read some books in August that I thoroughly enjoyed, which I’m going to share with you today. Jane Elson is back with another stunning book that will make you laugh, cry and fill your heart with so much joy that you won’t be able to put it down. 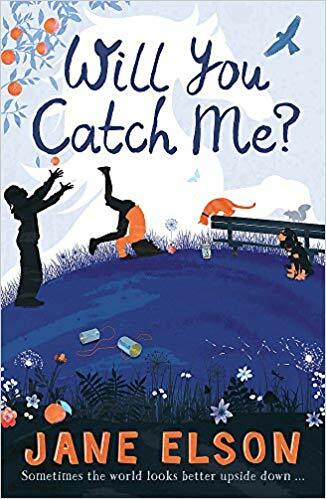 ‘Will You Catch Me,’ is a beautiful, empathetic read about a girl called Nell who is craving a normal and predictable life. She lives with a menagerie of animals who provide comfort from her increasingly difficult life. A life where every day she has no idea if it will be a good day or a terrible day depending on whether her Mum has kept her promise to Nell. Nell thinks her only hope is to track down her Dad so that he can look after them all, so her life can be ordinary instead of chaotic. With her best friend Michael she hatches a plan so that her Dad will have to come and claim her, but will she succeed? Heart-breaking and incredibly poignant, Jane’s storytelling brings a really honest insight into the most difficult of topics dealing with them sensitively and thoughtfully. Her stories feel so genuine and truthful. She gets to the heart of her characters allowing the readers to really feel their raw emotions and internal struggles, taking you along on this emotional journey with them. Yet again another moving and sublime read from Jane Elson, I can’t recommend it enough. 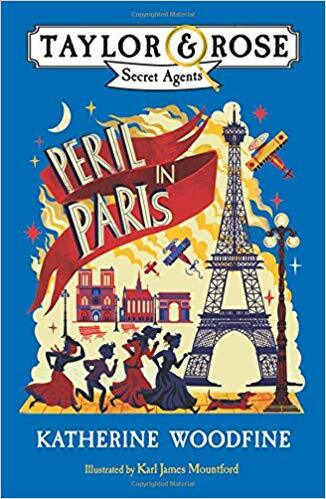 It was with great sadness for me, that ‘The Sinclair’s Mysteries’ came to a close in the final explosive and dramatic instalment, ‘The Midnight Peacock.’ But luckily our fearless, intrepid heroines Sophie and Lil are back with a bang in the glorious ‘Peril in Paris,’ the first instalment in the Taylor and Rose Secret Agents series. Recruited by the mysterious Secret Service Bureau our daring duo are sent away on dangerous and deadly missions, where they must learn to trust no one and expect peril at every turn. Furious and fast paced the reader is kept on the edge of their seat as the twists and turns come thick and fast. Intriguing and surprising there are plenty of revelations and unexpected happenings to confuse and confound even the most quick minded reader. This new series captures everything I loved about the ‘Sinclair Mysteries,’ but this story feels more thrilling and exciting, leaving the reader desperate for more with the most glorious ending. Sophie and Lil continue to defy society’s expectations of what a young lady can and should be doing and for that I will always love them. I can’t leave without mentioning Karl J Mountford’s stunning cover and artwork which captures the elegance and spirit of these marvellous adventures perfectly. 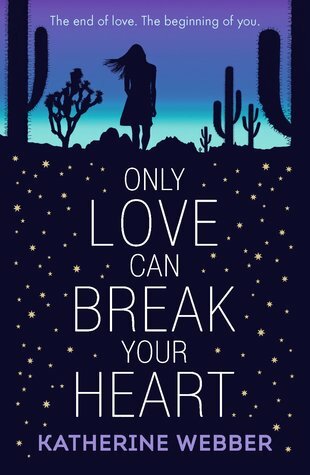 I loved Katherine Webber’s extraordinary debut, ‘Wing Jones,’ so I was desperate to read ‘Only Love Can Break Your Heart,’ and I can confirm that it is equally sublime. Reiko has a heart-breaking secret that she can’t share with her family or friends. In a bid to escape from the claustrophobia of her life in the spotlight she seeks refuge in the Californian desert. There she inadvertently bumps into Seth, a misfit who doesn’t fit in at school, especially with her crowd who are at the top of the pecking order. They both recognise in each other something that they both need and become bound together in an increasingly complicated relationship, where neither of them can give what the other needs. Katherine captures this struggle beautifully, dealing with this complex and unexpected situation in an honest and refreshing way. She stands out from the crowd with her rich, diverse characterisation creating fully developed characters who the reader finds themselves totally captivated by. Exploring complicated family dynamics in times of stress and grief, she enables the reader to understand life from everyone’s perspective not just the main character thus creating a truly thoughtful story. Katherine is one of my favourite emerging writers for young teens, for me her writing is beautiful, subtle and truly outstanding. 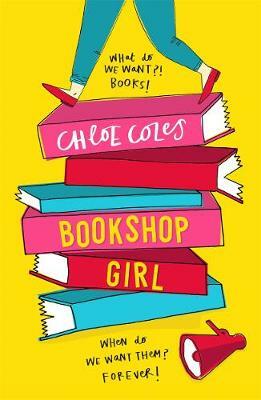 As a lover of books I find myself drawn to any book that features books or bookshops and therefore when I spotted ‘Bookshop Girl,’ with its vibrant, appealing cover I knew I had to read it. Paige Turner (pun most definitely intended) is a part-time bookseller whose life is turned upside down when her boss informs them that their bookshop – the only highlight in her dreary town will be closing down. Paige can’t afford to be penniless and her best friend Holly has to get her hands on the final book in her favourite trilogy, so something MUST be done to save their bookshop. So throw in a passionate campaign, a dreamy anarchist heart throb, oh and some hilarious life drawing and you have a fabulously funny book which is hugely appealing. For me not only is this book entertaining, it’s incredibly accessible for less confident teen readers coming in at just over 200 pages. Chloe has an eye for detail that makes this story feel very real and true to life, capturing all the idiosyncrasies of small town life and the highs and lows of being a teenager. With characters you’ll love and love to hate, this is a lively and engaging read. Thanks to Hachette for sending me a copy of ‘Will You Catch Me.’ All of these books are now available to buy online (click on the title to find out more) or from any good bookshop. This entry was posted in Uncategorized on August 24, 2018 by bookloverjo. 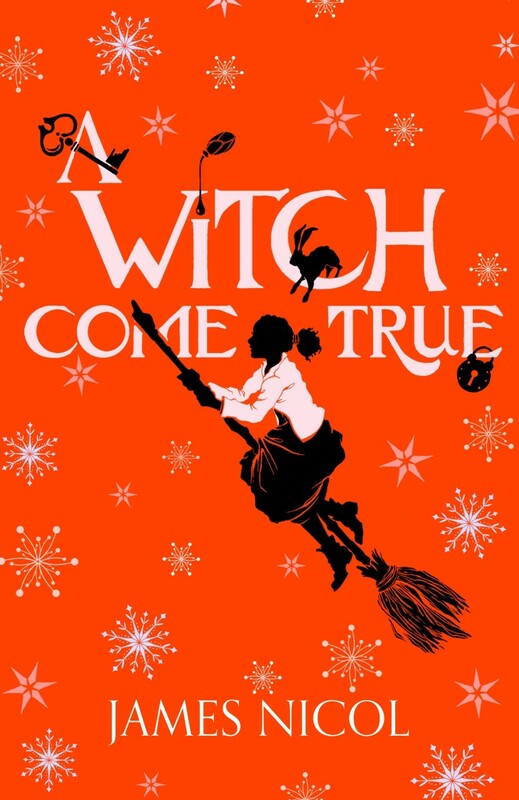 I’m really excited to be able to reveal for you today, the cover and title of the final book in ‘The Apprentice Witch,’ trilogy by the lovely and talented James Nicol, ‘A Witch Come True,’ which will be published on the 7th March 2019 by Chicken House Books. 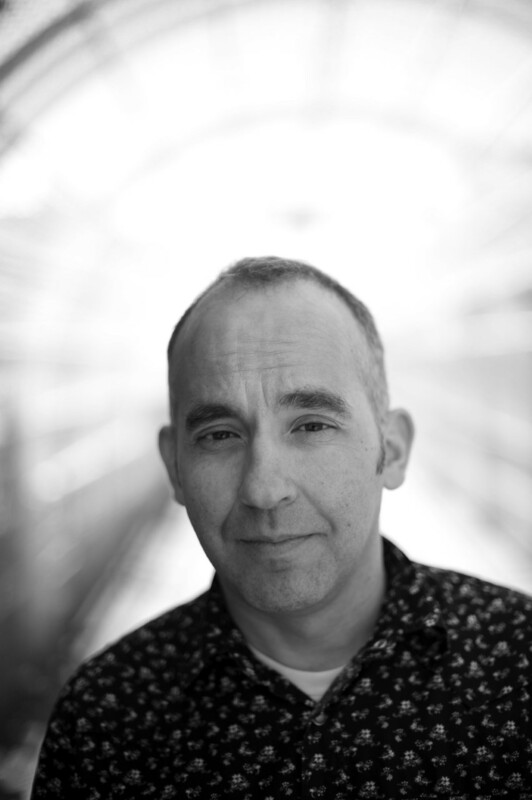 James Nicol has loved books and stories his whole life, though was classified as a ‘slow reader’ at junior school until he discovered ‘The Hundred and One Dalmatians,’ by Dodie Smith. As a child he spend hours absorbed in novels, watching epic 1980s cartoons or adventuring in the wood at the bottom of the garden. When he is not writing books he works in a library and is a Patron of Reading for Boston Pioneers School in Lincolnshire. He now lives near York in a house with too many books and too many musical instruments (most of which he can’t play!) with his partner and a black and white cockapoo called Bonnie. His favourite things include pancakes, books and laughing. He likes drawing though doesn’t get much time for that these days. He most often described as surprisingly tall and curly! 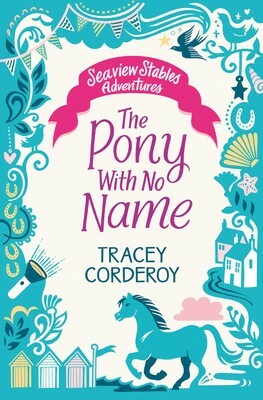 ‘The Pony With No Name,’ is the first book in a delightful new series the ‘Seaview Stables Adventures,’ from the brilliant Tracey Corderoy. For me there is a real gap in the market between first chapter books and full blown middle grade stories, so it was really interesting to get my hands on a story which bridges this gap wonderfully. When Bryony May has to move house, to live by the se,a she is distraught at leaving everyone behind – her school friends and her beloved horses at her local riding stables. 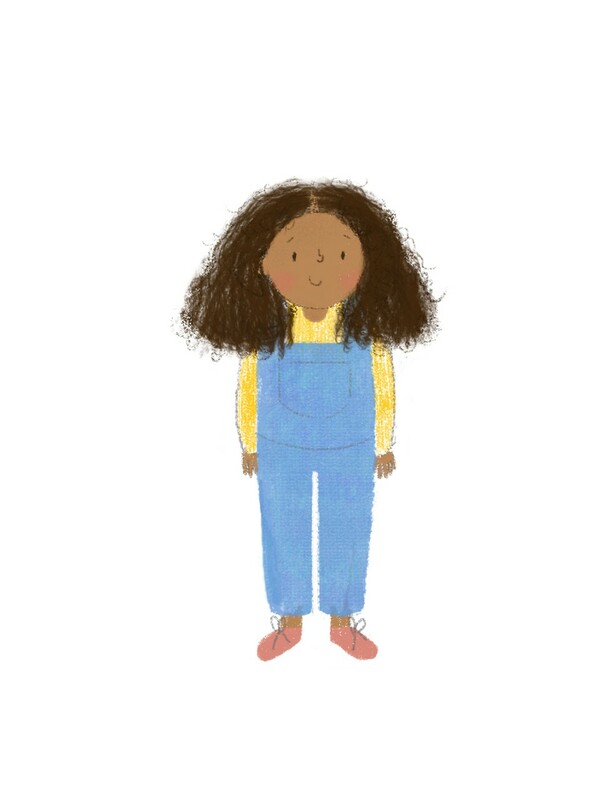 She is anxious about making new friends and trying to adjust to her new life after the death of her Dad, whilst trying to protect her Mum by hiding her unhappiness. But fate lends a hand and one day while exploring the woods, Bryony discovers a beautiful pony who has been spooked. When she manages to calm him down she feels an instant connection with this pony, who like her, has sadness behind his eyes. Unable to stop thinking about the pony, she can’t believe her luck when she spots an advert from a lady looking for help with her daughter’s new pony. Her joy is soon halted when she meets the pony’s owner Georgina who doesn’t care about him at all, in fact she hasn’t even given him a name. Worst of all Georgina is determined to keep Bryony away from her pony, how can she ever get close to the pony she loves again? Tracey has created a truly charming story which will leave readers pining for more. Her writing is so beautifully descriptive and engaging, so much so that when I sat down to write this review I had to go back and check that the story wasn’t illustrated as I could see it so clearly in my mind. You can feel the uneven surface of the cobbled streets beneath your feet, smell the sea air tingling your nose and you can see the peach and lilac sunset in the sky. I loved the bond between Bryony and Red, the feelings that they have in common and how they both offer hope to each other of a new future. The dynamics and ups and downs of friendship are considered and explored carefully. We see the power Georgina has over Bryony and her friend Emma and how she uses her wealth and privilege to control them both. We’re also shown the power of friendship and how it can give you the courage to be yourself and stand up for who you are and what you believe in. 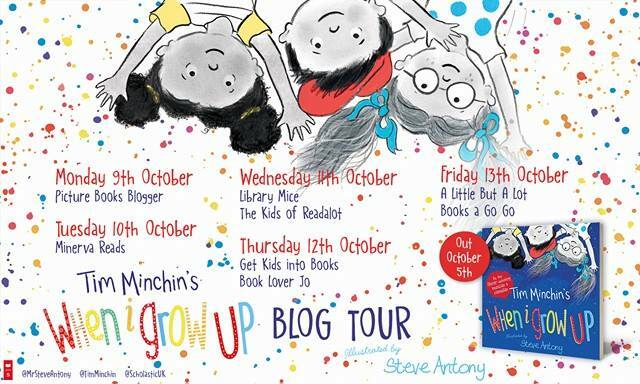 Dealing sensitively with grief and the difficulties for children in dealing with big changes in their lives, it’s a really thoughtful story. It offers the perfect mix of friendship and a truly enjoyable adventure, I can see it being hugely appealing. ‘The Pony With No Name,’ is available to buy now online or from any good bookshop. Thank you to Simon & Schuster for sending me a copy of this lovely book. 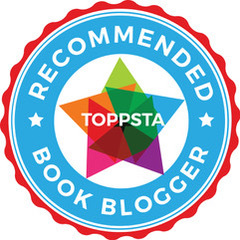 This entry was posted in Uncategorized on August 22, 2018 by bookloverjo. The thing when you are a bookworm, is that you have an overwhelming need to read no matter what else needs doing in your life. Carpets to hoover, why bother they just get dirty again! Clothes to iron, no point they’ll just get creased again! It’s amazing how many excuses I will make and things I will avoid doing just to carve out a little bit of reading time. So it’s only logical that after spending 3 solid weeks reading 20 books for this year’s Blue Peter Book Awards longlisting panel that I reward myself by picking up and devouring my most anticipated read of the year. A new book by Emma Carroll has to be the ultimate reward. I can’t tell you how much I’ve been wanting to get my hands on a copy of this book since hearing whispers about an Egyptian tale featuring a ‘lost boy’ first emerged on Twitter. Then the pain of having a copy and knowing you can’t read it straight away because of a looming deadline is almost too much to bear. But bear it I did, and I can confirm it was definitely worth the wait, ‘The Secrets of the Sun King,’ is a book that dreams are made of, sumptuously told and brilliantly written. Emma Carroll’s genius lies in her ability to transport the reader back in history and gives them such a sense of time and place that you find yourself right there, amongst the story watching it unfold before your very eyes. London, 1922. Lil’s grandfather is seriously ill and sent on an errand she finds a mysterious parcel on his doorstep. Even more mysterious is the sender of the parcel, a famous Egyptologist who has died in the most extraordinary circumstances that very morning. Unknown to Lil the strange parcel contains a secret hidden inside which holds the key to a story about a famous Egyptian king whose tomb everyone is desperate to find. With the help of her friends, Lil has to undertake a remarkable journey to return the package to it’s rightful resting place, in the hope it will save her grandfather and break the deadly pharaoh’s curse. 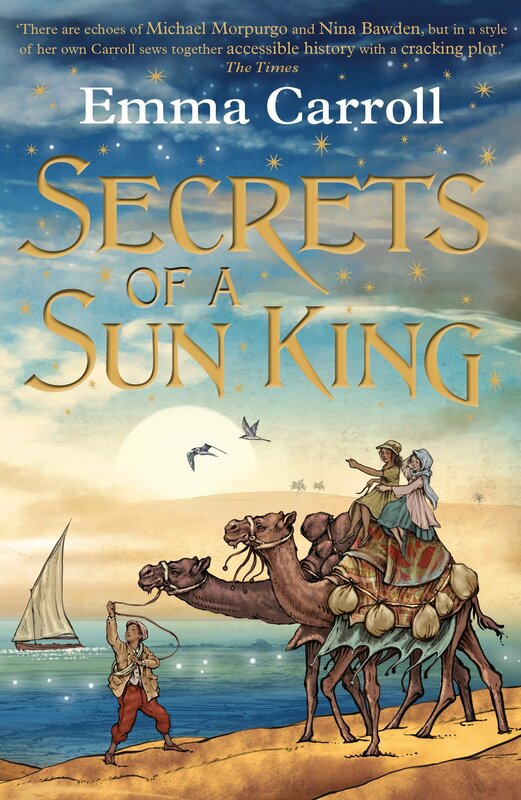 Emma has created a truly remarkable story in ‘The Secrets of the Sun King.’ Skilfully weaving this tale with so much excitement and mystery, then liberally sprinkling with darkness and danger to create a thrilling, enthralling adventure. The characterisation is just flawless, Emma has assembled a delightful cast of characters. I completely fell in love with Lil, a scholarship girl who doesn’t quite fit in at her school but has the most fierce determination to do what is right even if it lands her in trouble. Her willingness to do whatever it takes to protect her family, even at the risk to her own well being is really endearing. She is drawn to the daring Tulip who although seemingly has everything she could wish for, is just like her an outsider who is also fiercely lovely to her family especially her brother Oz. Every person within this story has a secret, a longing, that they feel the need to keep locked away. Emma cleverly creates stories that contain so many layers of thought within them, they have a real depth that I always enjoy. Despite it being four years since World War One ended we still feel the damage still lingering in the grief of Tulip’s family over the loss of their brother and the emotional damage to Lil’s father mental health. We can feel the inequalities that still exist for the working class through Lil’s father’s determination for her to have an education so she can have a better life. It also explores the uneasiness surrounding the treatment of ancient Egyptian artefacts and the entitlement to ownership that was felt by this wealthy explorers and archaeologists. All of these thoughts and feelings running parallel to the story make it so much more than an intoxicating adventure. These elements combined with her ability to write gripping, page-turning tales confirm Emma as an incredibly special and genuinely talented writer, whose books I absolutely adore. ‘The Secret of the Sun King,’ Emma Carroll’s eight book and is available to by now online or from any good bookshop. This entry was posted in Uncategorized on August 17, 2018 by bookloverjo. 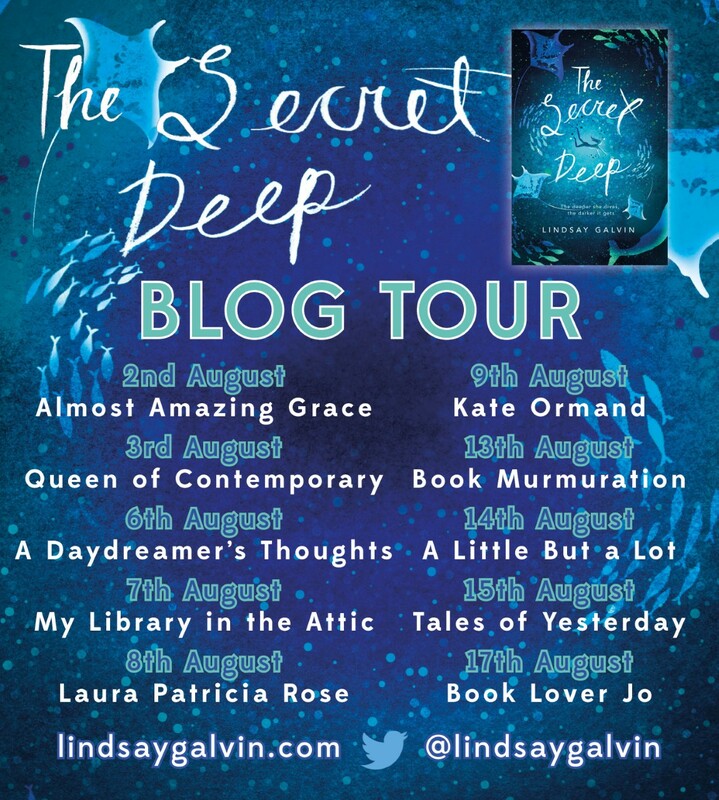 Today I am bringing ‘The Secret Deep,’ blog tour to a close with my review of this intriguing debut from Lindsay Galvin. When Aster wakes on a tropical island she is confused and distraught, her mind is full of questions. Where is she? How did she get here? And most importantly where is her younger sister, Poppy? Her last memories are blurred all she can remember is being on a boat with her aunt and other members of the eco-village where she was sent to live after the death of her mother. Nothing makes sense, she can’t think clearly but she feels the answers to all of her questions may lie beneath the sea. But nothing can prepare her for the secrets and revelations that she will uncover in her search for her sister and the truth. Compelling and disturbing in equal measures, ‘The Secret Deep,’ left me feeling unsettled and anxious in the very best of ways. Lindsay has created a story filled with many layers of mystery that are gradually revealed as the story develops. Each time the reader really doesn’t believe that the reality can be any more shocking yet we continue to be surprised as the pieces of the puzzle slot together. The story sensitively deals with Aster’s all consuming grief examining the physical and emotional torment of her pain and confusion at trying to make sense of the world without her mother in. You become so emotionally involved with Aster’s struggle to find her sister and you feel the inextricable ties that hold her and Poppy together radiating through the pages. Beautifully written and superbly told this is a truly original and spellbinding debut, perfect for teens seeking breath-taking new dystopian adventure. 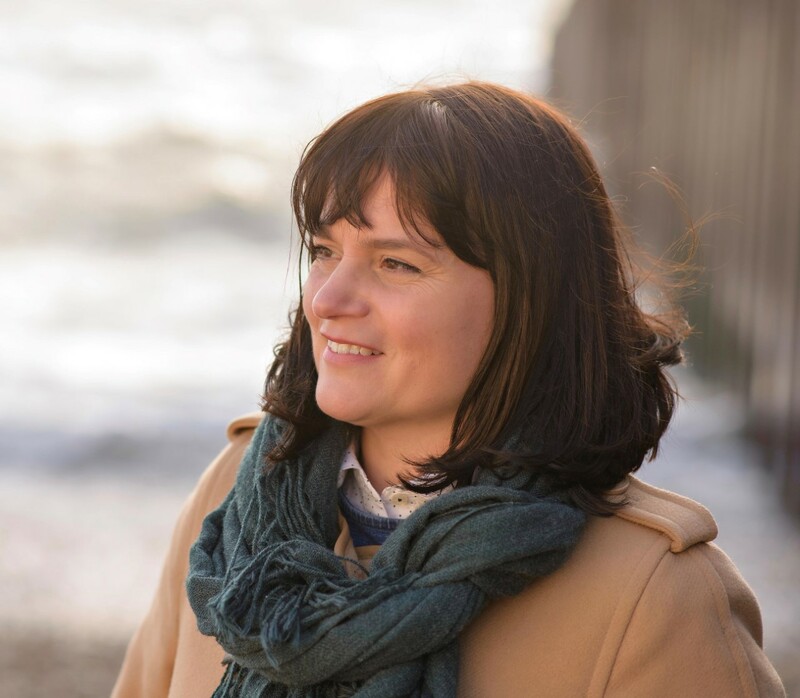 Lindsay Galvin was raised in a house of stories, music, and love of the sea, and now lives on the Sussex coast with her husband and two sons. She has a degree in English Language and Literature and teaches science. 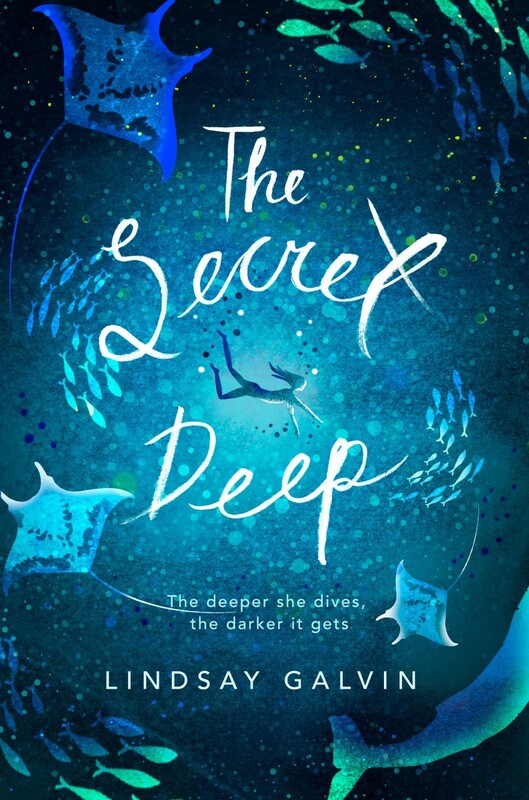 The Secret Deep is her first novel. 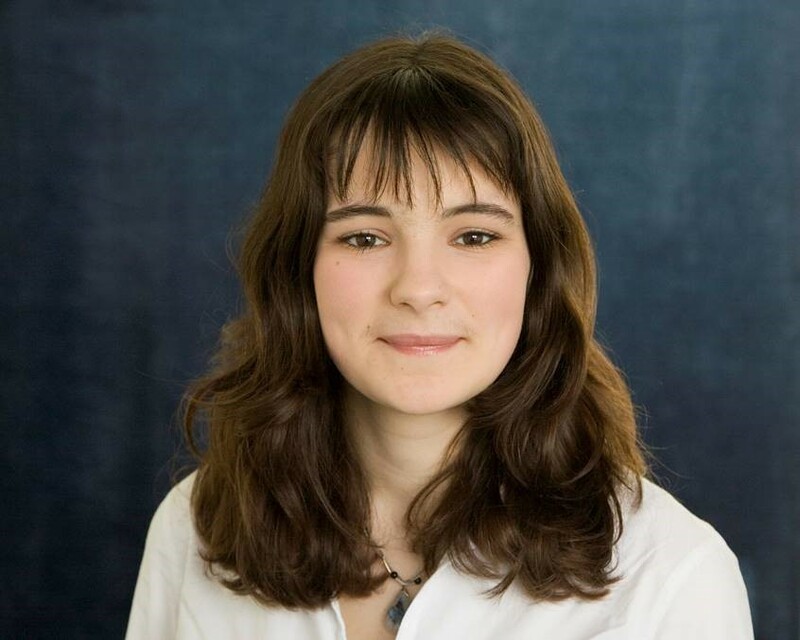 You can find out more about Lindsay by visiting her website or follow her on Twitter. Why not catch up with the rest of the blog tour for more reviews, guest posts and giveaways. Thank you to Laura and Chicken House for sending me a copy of this marvellous book and for inviting me to join in with the blog tour. ‘The Secret Deep,’ is available to buy now online or from any good bookshop. 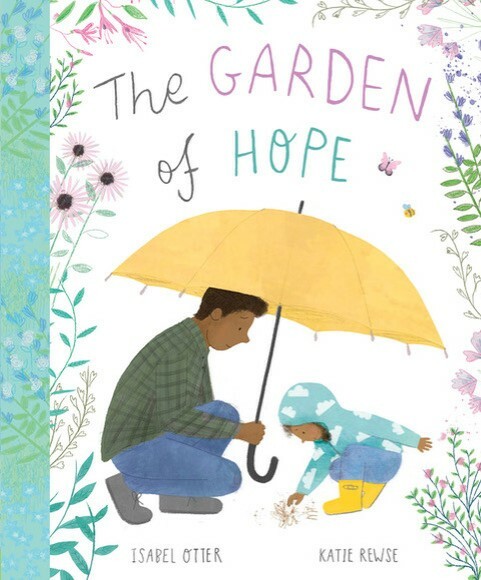 Today I am delighted to welcome Katie Rewse to the blog with a special guest post about her picture book debut, ‘The Garden of Hope,’ written by Isabel Otter. This beautiful story by Isabel, tells the tale of Maya and her father as they navigate the difficult path that lays before them with the absence of her Mum. It’s never quite clear what has happened to Mum which cleverly allows the book to be used to talk about the grief of losing a parent as well as the pain of a parent who has left after a family breakdown. 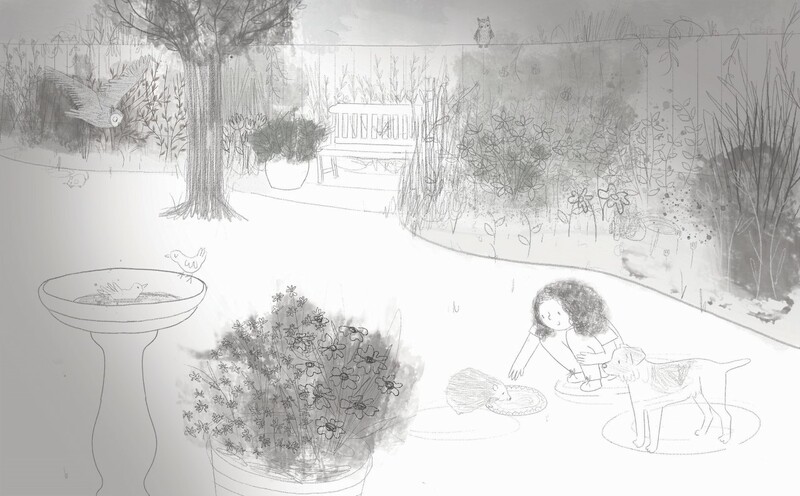 A truly uplifting story, we see how Maya finds solace in the garden which her Mum loved so dearly as she tries to bring it back to life by planting seeds. Their growth helps transform the garden and gives Maya a sense of hope in the future that happiness and joy are within her reach. Sublimely illustrated by Katie, I particularly love how she uses the colour palettes of each spread to convey the changes in Maya’s feelings. From sombre dark colours, moving on to those that sparkle with tiny pops of colour, to a full riot of vivid colours bursting with joy in the final spread. A thoughtful and heart-warming story that manages to tackle difficult themes in a very sensitive way. It was this time last year that I received an exciting email from my agent with the project brief for Garden of Hope. For my first picture book, I couldn’t have been happier to be given the opportunity to illustrate such a beautiful and uplifting story. I immediately knew that with the setting of the garden, it was also going to be a real treat to draw. The brief had the perfect amount of creative freedom for my first book; I was given guidance about what to include on each page, and a few details about how the characters could look, but lots of it was left to my own interpretation. One of my favourite parts of the process was developing the characters, as I love imagining all the little details that collectively build a character. It’s always so much fun thinking about things like hairstyles and clothing, but on a deeper level I also enjoy the challenge of trying to think about the characters experiences and how these will come across in the illustrations too. These are some of my first sketches as I began to visualise the main character, Maya. These are the two designs that I decided to take forward into colour…. … and the final version in which I made her look a little younger. After getting the go ahead with the characters, I began to work on the rough images. I used to do all of my sketching on paper, but for book roughs I have found it really useful to sketch digitally. This means that, if there are any suggested adjustments, I can quickly make changes. For this page in particular I was asked to make a few adjustments. I hadn’t really considered that this could be a night time scene, and I think with the team at Caterpillars suggestion the spread was definitely improved. The collaborative nature of illustrating a picture book was a really enjoyable part of the process for me. At times I would think a page was finished, but with a few pairs of eyes, and sometimes with only a small suggestion for change, I found my artwork really grew. 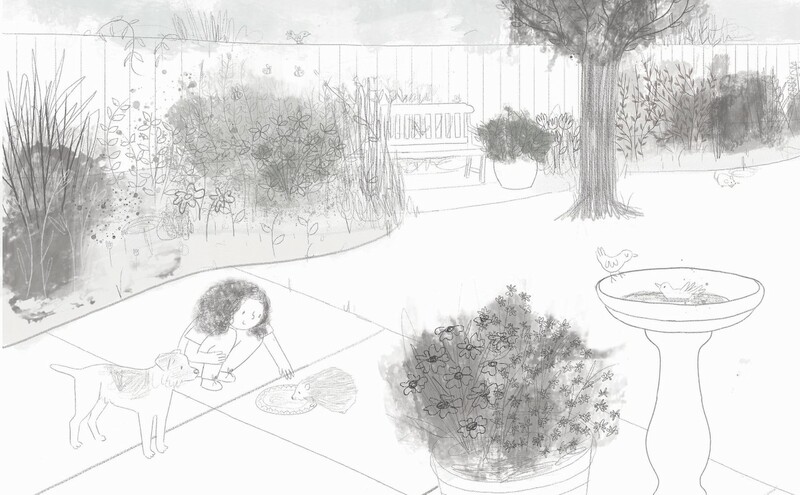 In the story Maya pours a lot of love into restoring the garden. 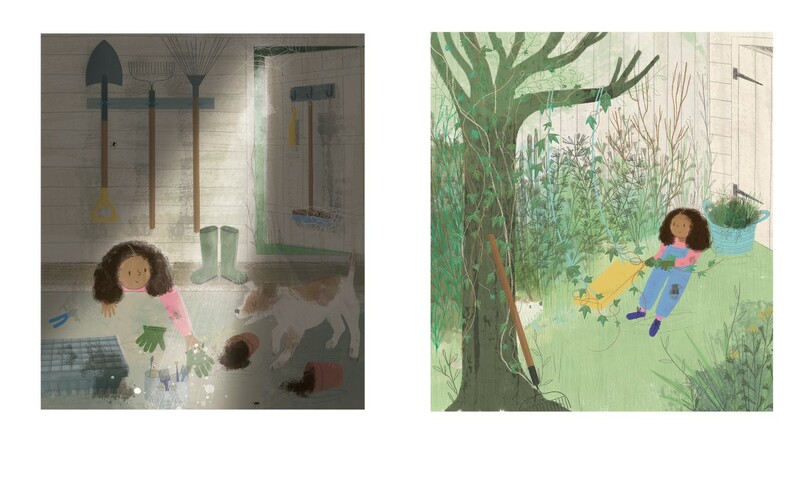 I think my two favourite spreads are when we see the first glimmer of hope as she begins her mission to tidy up…. 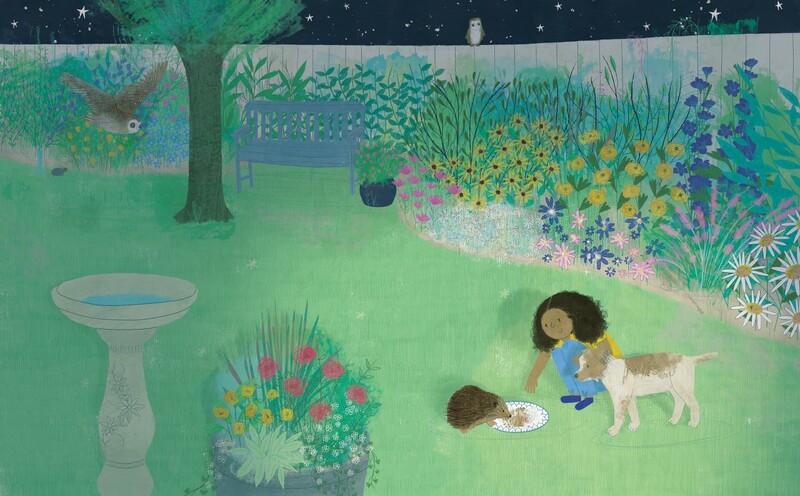 … and the second to last scene where Maya is pictured looking joyful, in her beautiful, thriving garden. I’m so excited about seeing Garden of Hope in the shops, I imagine it will be quite a surreal feeling. 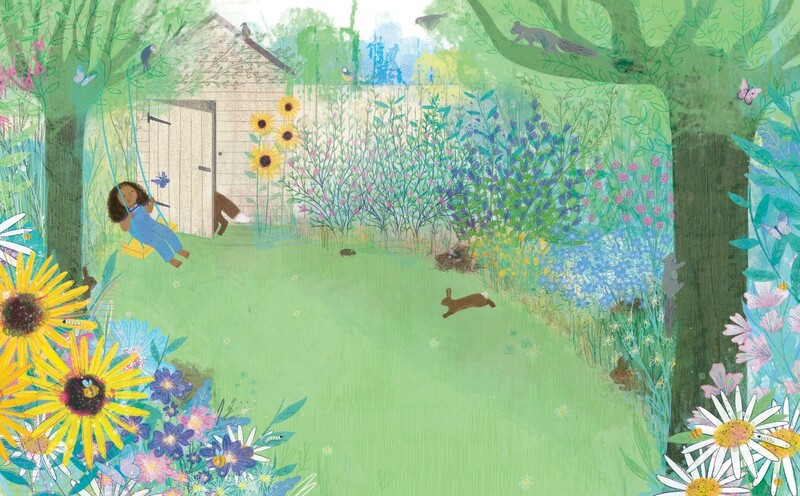 This year has flown by, since finishing the artwork for Garden of Hope I have been working on some homeware projects as well as some new images for my children’s portfolio. Looking ahead, I’ve got a couple of exciting projects which I can’t wait to start. 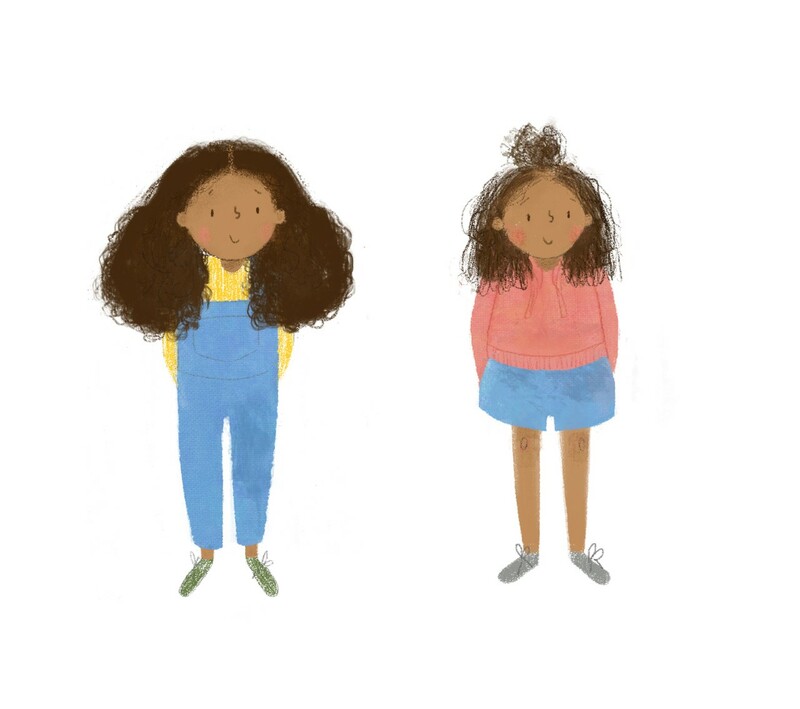 When I consider my future as a children’s book illustrator, I would love to work on some books with environmental messages; to illustrate a book by Nicola Davies would be my ultimate dream. 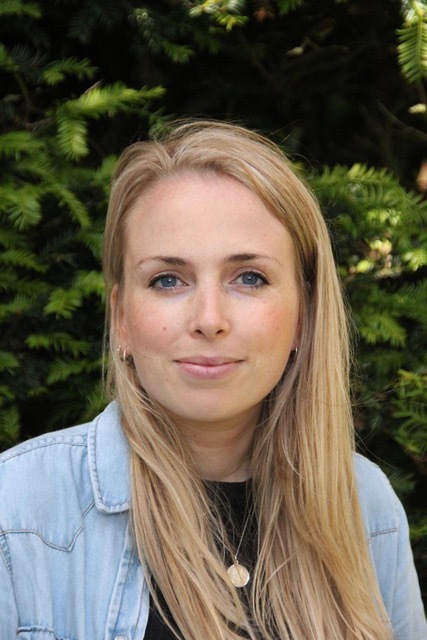 A huge thank you to Katie for giving us this really interesting insight into the illustrations in this wonderful story, I’m always fascinated to look at the creative process behind picture books. 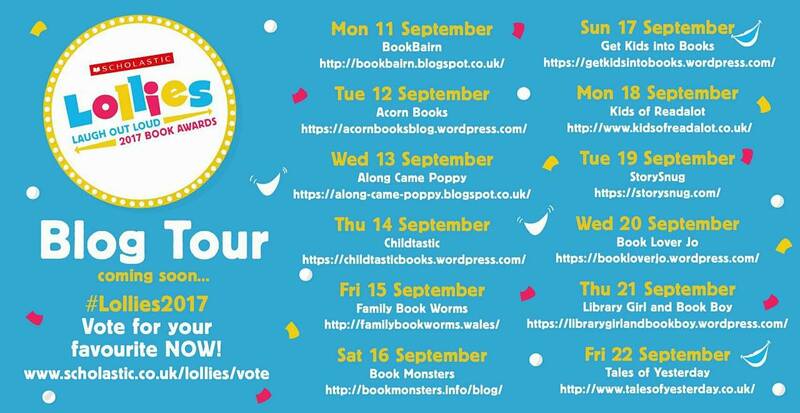 Thank you to Leilah and Little Tiger for inviting me to take part in this blog tour and for sending me a copy of this beautiful book. ‘The Garden of Hope,’ is available to buy now online and from any good bookshop. This entry was posted in Uncategorized on August 9, 2018 by bookloverjo. 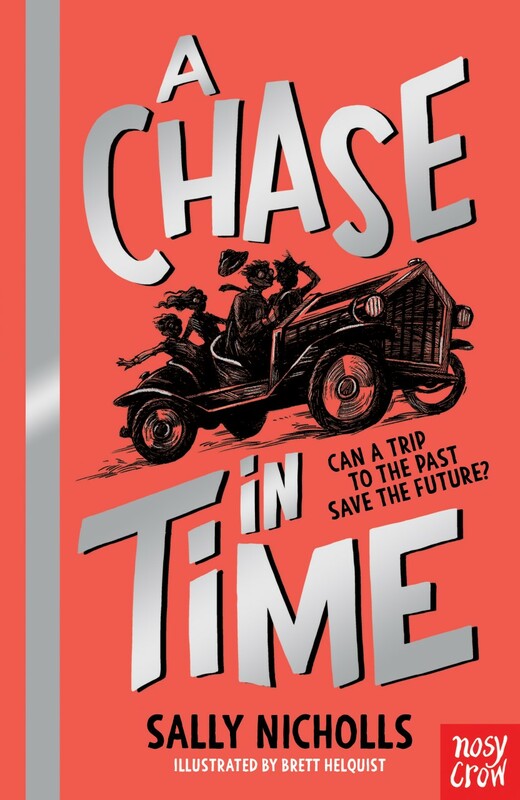 Today I’m delighted to be kicking off the blog tour for the first book in Sally Nicholls’ new time-slip adventure series, ‘A Chase in Time,’ illustrated by Brett Helquist. Every summer Alex and his sister are sent to stay with their Aunt Joanna in the country in her big rambling home which offers a stark contrast to the ugly house that they live in. Unfortunately this will be their last summer of escape, as their Aunt has been forced to sell her home as she can no longer manage the upkeep. Alex loves the house and just adores all of the remarkable objects in the house that have been collected over the years. But he is drawn to one object in particular, an old gilt-edged mirror because when he was 7 years old he is convinced he saw another boy in the mirror instead of his reflection. And one day when he least expects it he accidentally falls through the mirror with his sister and they end up in the same house but in a very different period of time. Soon they find themselves caught up in an adventure filled with arson, theft and erratic car chases as they race to find a precious family jewel. Can they solve the mystery and find a way to return home? Sally Nicholls is the author of ‘Things A Bright Girl Can Do,’ and contributed to ‘Make More Noise!‘ a collection of stories about women’s suffrage. 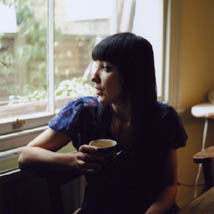 Sally lives in a little house in Oxford with her husband and sons, and trying to believe her luck. 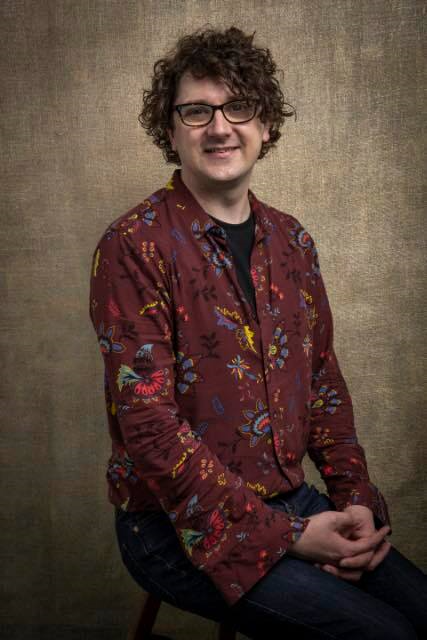 Brett Helquist is the illustrator of many books including ‘The Series of Unfortunate Events,’ by Lemony Snicket and ‘Chasing Vermeer,’ by Blue Balliett. He grew up in Utah and now lives in Brooklyn, NY. 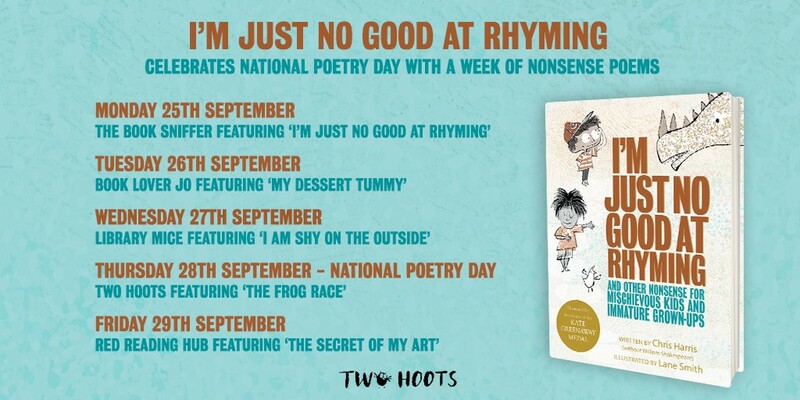 Thank you to Siân and Nosy Crow for sending me a copy of this fabulous book and for inviting me to join in with the blog tour. If you’re intrigued by my review you can read the first chapter on the Nosy Crow website. ‘A Chase in Time,’ is available to buy now online or from any good bookshop. This entry was posted in Uncategorized on August 1, 2018 by bookloverjo.